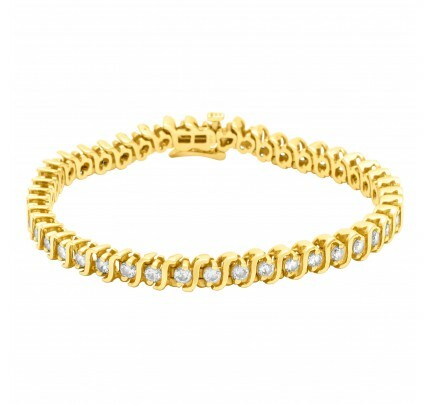 Stylish link bracelet in 18k white and yellow gold. 8 inch length. Lobster clasp. 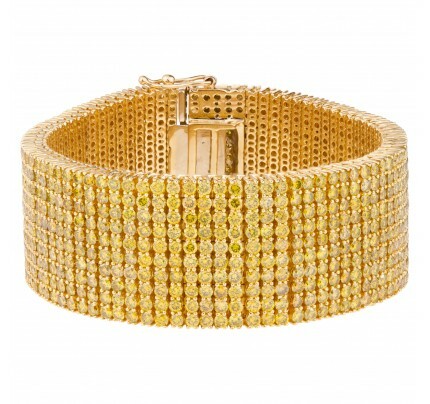 Sparkling three line diamond bracelet in 18k white gold. Approx. 12.30 carats in Diamonds. 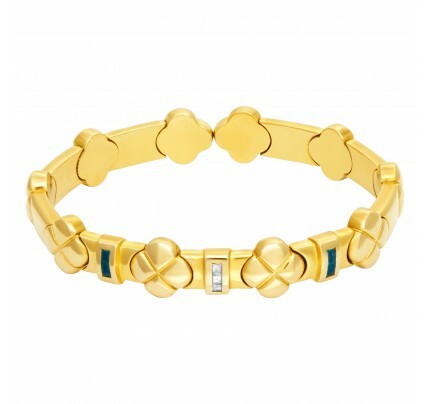 Ankle bracelet in 14k gold with colorful multi-stones. 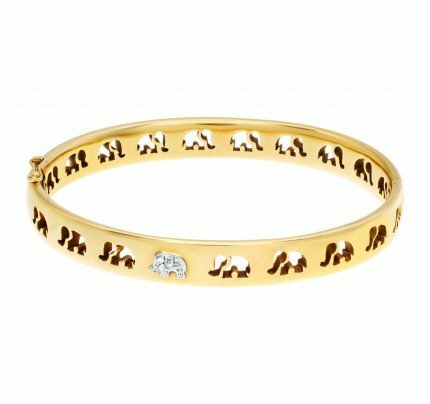 Signed "C'est Laudies" Elephant Bangle with diamond accents in 18K Yellow gold .